Located in a quiet alley, you would not believe that the city center is only a few steps from this property. 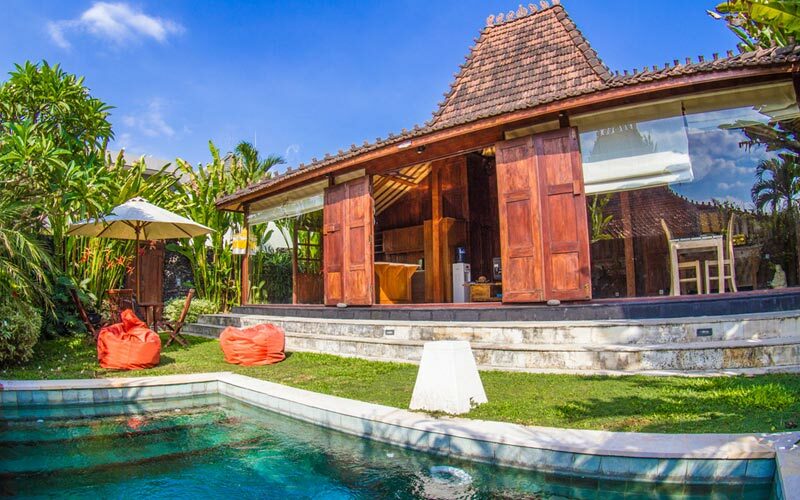 Tucked in the heart of Seminyak, this villa is ideal for the ones who wish to have all facilities in walking distance range. The famous Ku De Ta beach club with its magnificent sunset view is only 5 minutes walk while there are also many other great restaurants and bars in the corner. 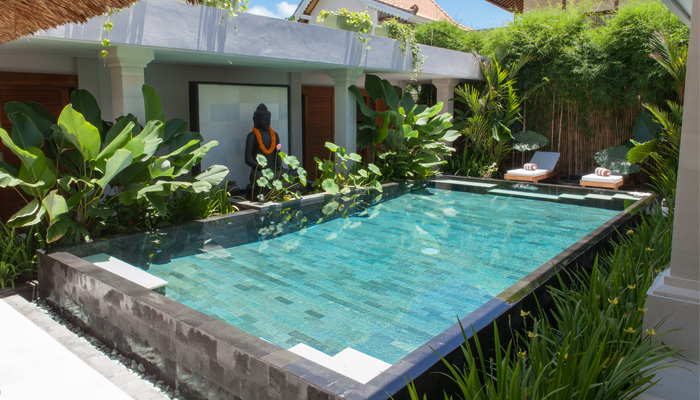 This cute villa consists of two separated buildings with each constructed in two levels. The main building shelters the living and dining area, kitchen and a comfortable small reading corner. You will find upstairs the master bedroom with big wooden windows that gives view to the garden and swimming pool. On another building, one bedroom is placed downstairs while another one is on the second floor. All bedrooms are airconditioned and equipped with en suite bathrooms. 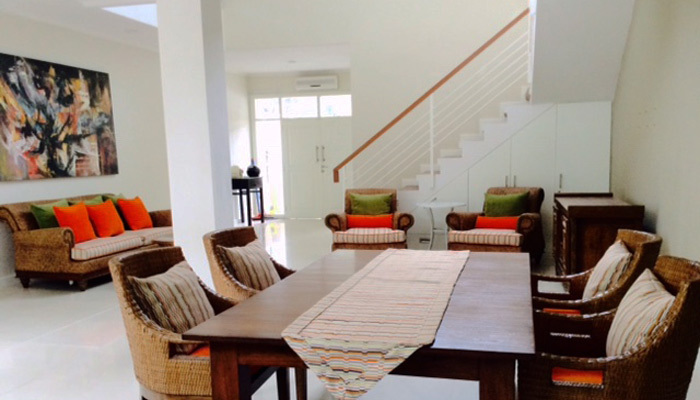 Beautiful and perfectly located, this property is made for you who seek for rental investment in Bali.